There is no magic pill or formula for weight loss. At the end of the day pounds come off when you eat fewer and burn more calories. But what if the two-pronged approach just doesn’t appeal to you? Can you really lose weight without dieting? Yes, you can! Here’s how. Don’t save physical activity for the gym. Look for ways to move more all day. Easy ideas include a 20-minute walk at lunch time or after dinner; 10 minutes of rope jumping in the morning and standing at regular intervals throughout the day. 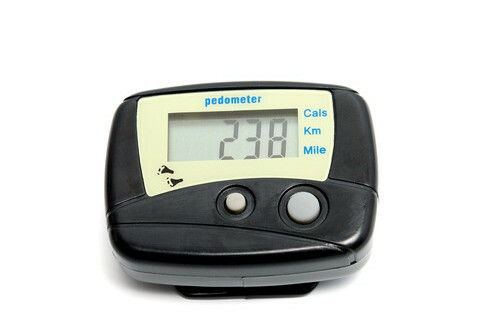 Better yet, try wearing a pedometer because more steps equal less weight. The American Heart Association recommends 12,000 to 15,000 steps per day to promote weight loss. Wear your pedometer for 7 days to get a good daily average of the steps you are currently taking. Challenge yourself to increase your step total each week until you reach your target step number. Unmanaged stress sends you into prolonged fight or flight mode. In preparation, the body secretes cortisol, a stress hormone that encourages consumption of high fat, high calorie foods. What does that mean? Sometimes we eat not because we are hungry but because we need comfort. Try new strategies that soothe stress and reduce comfort eating. 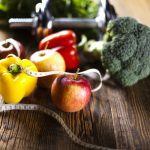 Don’t want to take anything away from your diet? That’s okay. Focus on adding to your diet instead. Aim to consume 5 to 9 servings of fruits and vegetables each day. Just add them to what you are already eating. You may just find that when you consume more fruit you have less room for foods that pack on the pounds. Another tip – drink water throughout the day and with your meals. Less sleep often equals more weight. Enough said. It is a good idea to stop eating in front of the television, too. Practice eating all meals and snacks in a setting that encourages you to slow down and pay attention to the taste and experience of the food. The focus here isn’t on eating less; instead it is on enjoying the food you do eat more. Build muscle to boost your calorie burn. 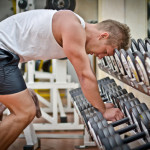 Weight training can improve your muscle to fat ratio, which means your body will burn calories more efficiently. For example a 150 pound woman that gets moderate physical activity each day needs about 2523 calories per day to maintain her current weight. To lose one pound per week without dieting she will need to burn an additional 500 calories each day because 3,500 calories equals one pound. Activities she could do to burn 500 calories include 40 minutes of fast rope jumping, running at 10 minute mile pace, or an intense game of racquetball. Extra steps count, too. 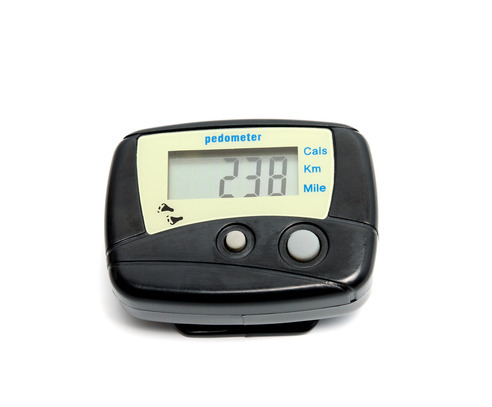 Create a daily 500 calorie deficit by racking up at least 12,000 steps on your pedometer. So you see you can lose weight without dieting. Just be willing to pump up your activity level to burn more calories and then watch the pounds come off.